This is a project in the Town of Timberville Virginia 22853. Timberville Virginia has a population of around 2,500 people and was incorporated in 1884! 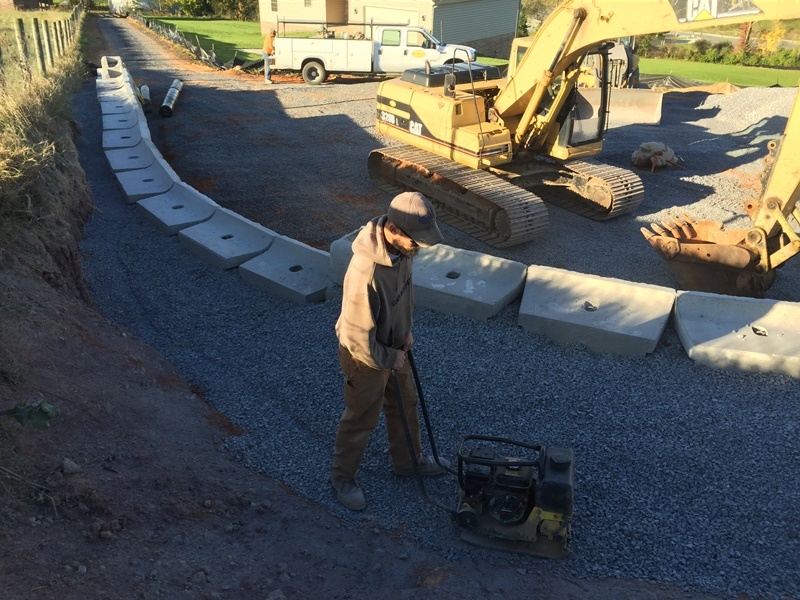 We started this project back in August and it involves site work and utility installation for a new above ground water tank for the Town of Timberville. It was installed by Mid Atlantic Storage. 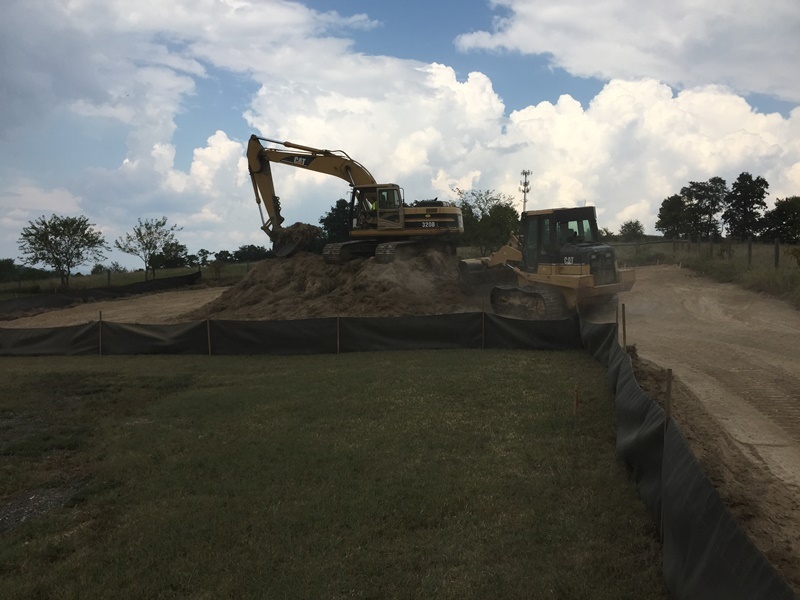 Site work for us included installing erosion and sediment control measures, stripping and piling topsoil, cutting site down to grade, installing a new access road for the town, and installing a retaining wall. 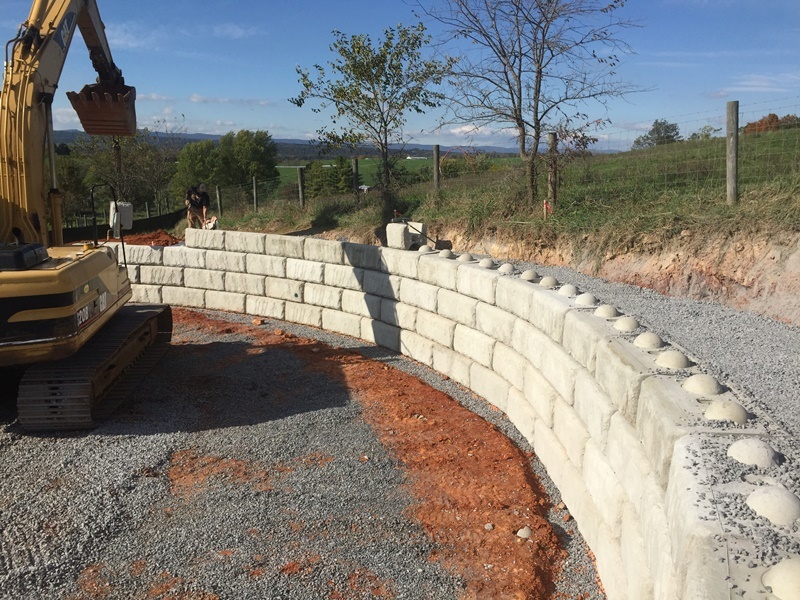 The retaining wall is a Redi-Rock gravity retaining wall. 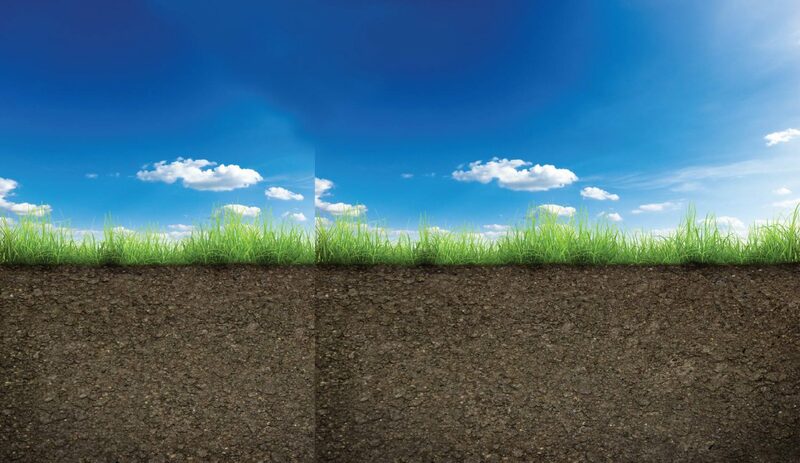 Gravity retaining walls are those which rely solely on their own weight to stand up. 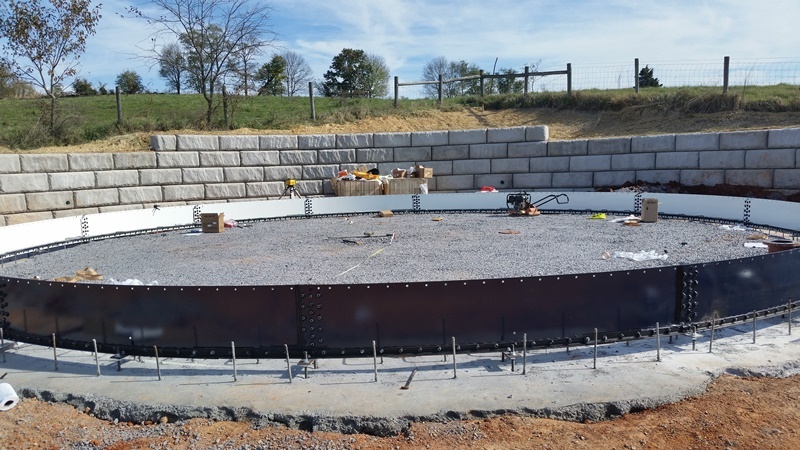 Generally these retaining walls require proper engineering as well as large machinery prior to installation. Luckily, Bushong Contracting Corporation has years of experience installing and working with these systems. We will also be installing an underground valve vault for the above ground water tank, approximately 500 LF of twelve inch ductile iron from the existing town service to the underground concrete vault, new twelve and six inch gate valves, reconnecting two ¾ copper services and installing a new fire hydrant. 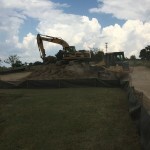 I’ve included several pictures below in a gallery that are depicting site progress so far. Thanks for reading and check back often for future blogs about our recent projects!